The field of sports development is becoming ever more professional, with the levels of expertise in planning and efficiency required of those working in private or national sports institutions higher than they have ever been. In response to this, strategic sports development has emerged as a means of applying business strategies to the context of sports development. 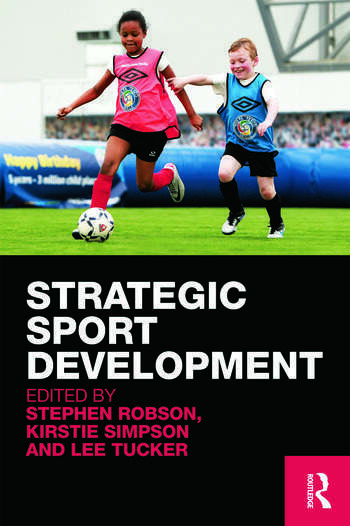 Strategic Sports Development is the first book to directly address this important new field. everything the reader needs to engage meaningfully with the relevant National Occupational Standards for the sport development profession. Strategic Sports Development is designed to help students develop the practical skills needed to contribute to development strategy in a vocational context, and give practitioners the confidence and know-how to improve the strategic development of their sports organization. This book is essential reading for all students and practitioners of strategic sports development, and a valuable resource for students of sports management or development in general. Stephen Robson is a Senior Lecturer in Sport Development at Leeds Metropolitan University, UK. As well as leading the Sport Development degree, he also leads the teaching of strategic management. Stephen has extensive experience of working on national level projects related to employability and CPD in strategic sport development. Kirstie Simpson is Deputy Head of the Department of Sport and Exercise Science at the University of Chester, UK. She began her career in local authority sport development and is now leading programmes in Sport Development and Sport Coaching. Her main research interest lies in the monitoring and evaluation of sport interventions. Lee Tucker is a Senior Lecturer in Sport Development at Leeds Metropolitan University, UK. He is currently doing a PhD examining the transformational potential of sport. His main research interests are around sociology of sport as well as the politics of sport.